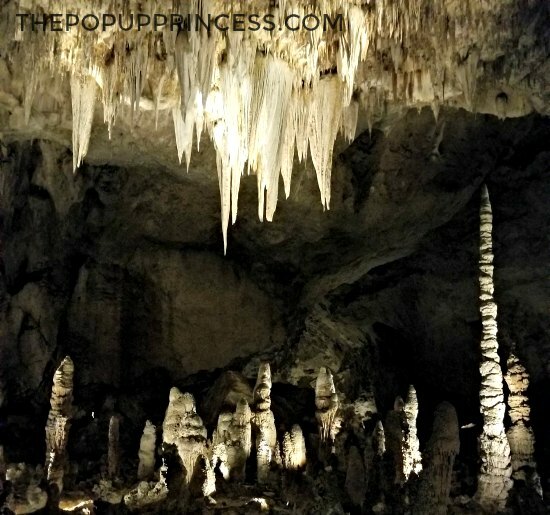 Carlsbad Caverns is a wonderful national park and offers something for everyone. Young and old alike will delight in the beautiful desert scenery, interesting wildlife, and of course, the main attraction–the cavern tours. It was a perfect first stop for our pop up road trip. 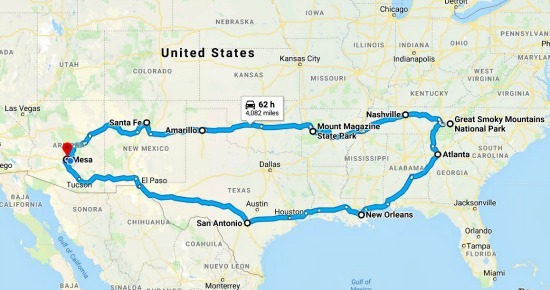 I can hardly believe it is over already, but we just finished our epic summer road trip last month. If you are new here and don’t already know, every year we head out on a three week road trip to see our beautiful country. This year, we decided to head out East. Now, with the exception of Mr. TypeTwoFun, none of us had ever been east of New Mexico, so we were a little unsure of what to expect. I had always had an itch to see the Great Smoky Mountains, so we set that as our final destination and planned stops along the way. When we first planned out our route (pictured above), I had asked for campground suggestions on our Facebook page. It didn’t take long for y’all to set me straight on camping in the South without A/C. 😆 Thanks to all your advice, we made quite a few modifications to our original plans. We eventually decided to stay in a hotel for the first two nights and drive as far as we could into cooler country before setting up camp. 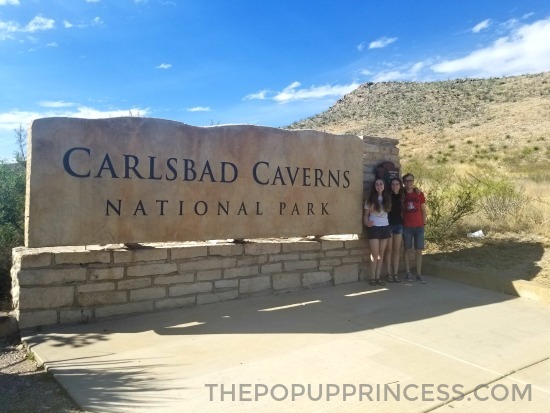 This meant our first stop, Carlsbad Caverns National Park, was a good 8+ hour drive for us, but we wouldn’t need to set up the camper. We find that a quick hotel stay is the best solution for our family when we have a really long driving day. We packed up the car the night before and headed out really early. Because it was a long drive, once pit stops and traffic were factored in, we didn’t arrive as quickly as we had hoped. 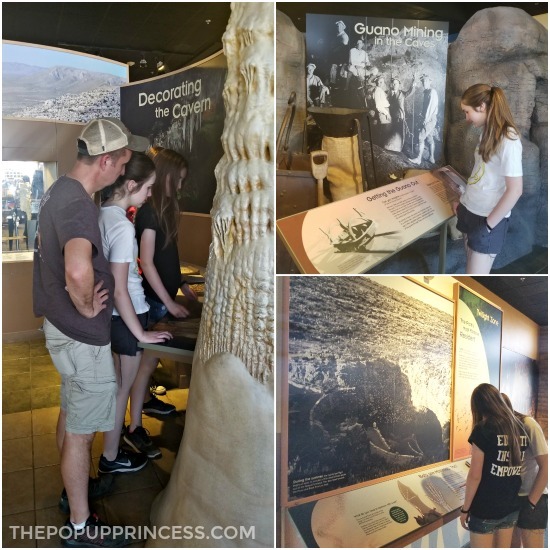 We had initially hoped to stop in Guadalupe Mountains National Park and check it out. By the time we arrived, the visitors center was already closed, and it was much too hot to hike. Thankfully, Carlsbad, New Mexico wasn’t too much further away. When we arrived that evening, we were tired but so excited to see what the park had to offer. And Carlsbad Caverns National Park has a great visitor center. We were pretty content to explore on our own for awhile. Once we finished our tour of the visitor center (and of course, the gift shop), we were just in time to grab a seat for the bat flight. If you are planning on observing the bats as they leave the natural entrance of the cavern, I would suggest getting there at least 30 minutes early to find a seat. The amphitheater outside of the entrance is pretty spacious, but there were quite a few people in attendance the night we went, and seating was scarce. The time for the program changes seasonally, depending on when the bats leave the cave, so be sure and check the website or call the park for updated information. The program started very close to dusk for us. I believe the actual time was really close to 7:15 pm. 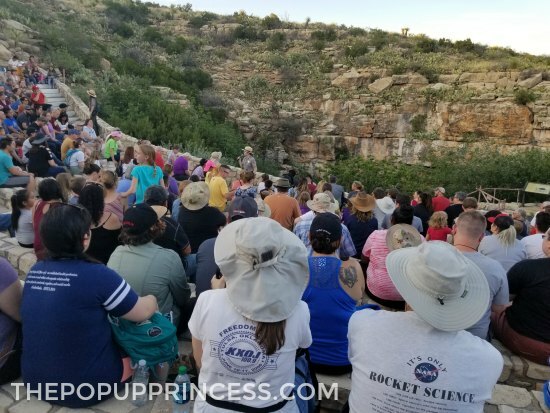 We listened to a ranger talk about the bats in the Carlsbad Caverns area, and we were able to ask questions as we waited for them to make their grand exit. When 7:15 pm came around, we were required to power off all electronic devices in order to keep from disturbing the bats. This meant no phones or cameras, so we weren’t able to take any good pictures of these amazing creatures. It was an experience we won’t soon forget, though. The crowds started to thin about 10 minutes into the flight, and we really enjoyed sitting together quietly watching the swirling bats as the evening started to cool down. As it got dark, we could hear the sounds of the desert, and I was struck by how seldom we all just sit together in silence–no phones, no distractions. We stayed quite a bit longer than most visitors, and bats were still making their way out of the entrance when we left 45 minutes later. We were tired, though, and still needed to find a hotel for the night, so we called it a day. Luckily, we were able to find a hotel in the town of Carlsbad, NM with minimal effort. It was NOT cheap, though. The main reason we hadn’t made reservations ahead of time was that hotels in the area were going for around $300/night. This was very likely due to the fact it was Memorial Day weekend. I was hoping a last minute reservation would be cheaper. It wasn’t. 🙁 That was a tough pill to swallow. On the plus side, since we were able to leave the trailer hitched to the tow vehicle in the parking lot, it was easy to get back to the caverns early. 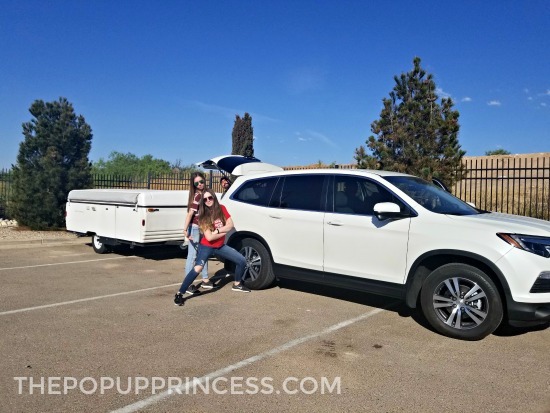 If you are planning a hotel stay while towing your PUP, I highly recommend calling the front desk ahead of time to make sure they have space in the parking lot to leave the camper hitched up. It will make it so much easier to leave in the morning, and you won’t need to worry about theft in the middle of the night. We arrived just as the park opened and were first in line to buy our tour tickets. If you have a National Parks pass, which we definitely recommend, you get in free. 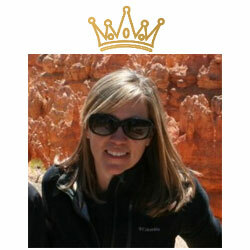 I grabbed tickets for the Big Room Tour via the Natural Entrance Self-Guided Trail. This was perfect for us. We got to see all the beauty and wonder of the Natural Entrance without hiking up that steep incline. It added about an hour to our Big Room Tour, but it was definitely worth it. This is the very same entrance all those thousands of bats had come out of the night before, and my girls were a little squeamish. We could hear a few squeaks and squawks as we descended, but it was mostly from the swallows that make their home in the entrance as well. We didn’t see a single bat that morning. We did, however, see some amazing cave formations on our way down to the Big Room. This was by far my favorite part of the tour. If you have the option to hike in through the Natural Entrance, DO IT! And the Big Room itself was amazing as well. 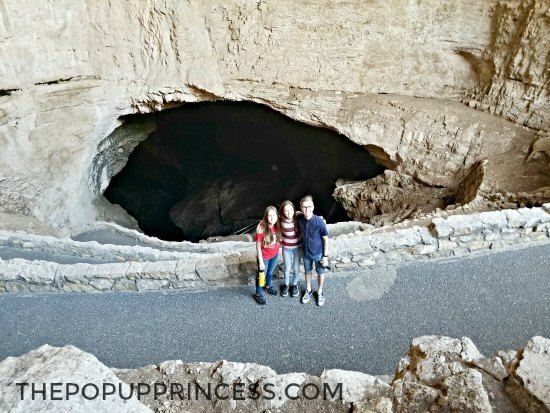 The National Parks Service has worked really hard to repair a lot of the early damage to the cave, and we were so impressed with how they have added pathways while still preserving the cave features. We’ve visited quite a few caves, and many have gotten destroyed once visitors start arriving. 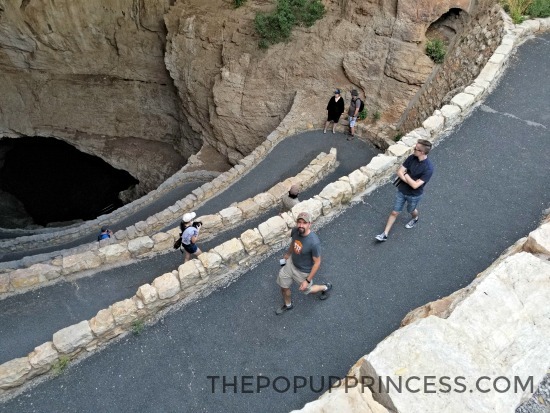 NPS has done well managing that with Carlsbad Caverns. The cave is really awe-inspiring. Once you finish the Big Room loop, you take the elevator back up to the visitor center. You can always bypass the Natural Entrance and take the elevator down to the Big Room as well. This is great if you are short on time or unable to take the strain of the downhill climb, but be aware that there are often long lines for the to get in. If you arrive early enough, you shouldn’t have much of a wait, though. I believe our wait for the elevator was just around 15 minutes to get back out of the cave and up to the visitor center. I was once again thankful we’d hit the park early, because as we were exiting, the lines to purchase tour tickets were crazy long. Purchase tickets ahead of time, if possible. We didn’t know our schedule, so we didn’t purchase tickets in advance, but there are some really cool ranger-led tours available. You can purchase them in advance, and you’ll have the opportunity to explore–sometimes by headlamp–other less frequented areas of the cave. 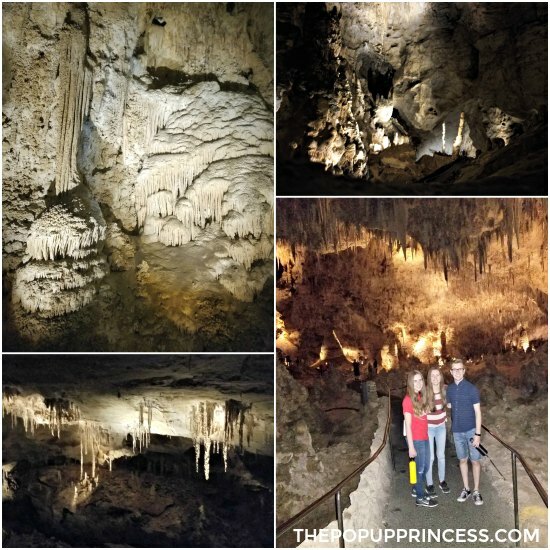 If you’d like a more natural view of the caverns, I highly suggested taking one of these tours. Buy your tickets early, though, as they do limit the number of visitors and tours sell out quickly. By the time I’d finalized our schedule, all the ranger-led tours were sold out. Get there early! If you are planning on taking the self-guided Big Room and Natural Entrance tours, you won’t be able to purchase tickets in advance. You’ll need to purchase your tickets at the visitor center. The lines for tickets and the elevator down (and back up) can get long, so arrive early. You’ll beat the crowds and be able to enjoy the cave a little better. Don’t skip the visitor center. There are some great informational exhibits on the park as well as a large interactive map of the caverns. My kids really enjoyed it quite a bit. If possible, stay for the bat flight. It really is an amazing experience. 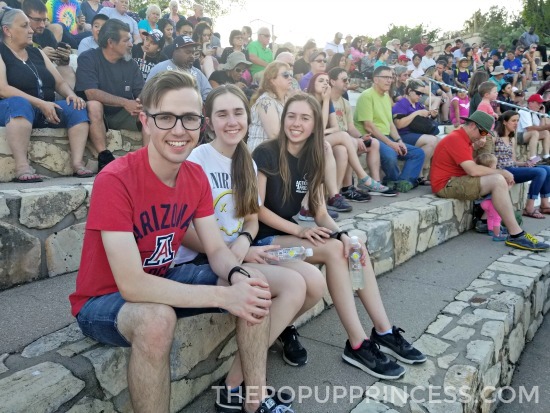 We will always remember the peaceful, electronics-free evening we spent together watching the bats fly out into the night. There are no campgrounds in the park, but Guadalupe Mountain National Park isn’t too far away. There are two first come, first serve campgrounds there that would make nice base camps for exploring both parks. You’ll also find a small, basic campground in White’s City, New Mexico, just as you reach the turn off to the park. The nearest town is Carlsbad, New Mexico, and there is a KOA Kampground there that we’ve heard good things about. There are also quite a few hotels in Carlsbad, so it makes a great home base. Either way, make your reservations early–especially if you are visiting during a holiday weekend, like we did. The KOA had sold out several months in advance and hotels were pricey. 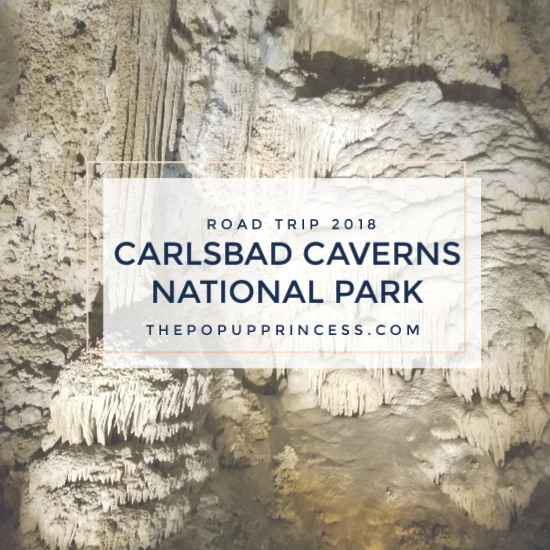 Carlsbad Caverns NP made the perfect first stop for us, and I am so glad we decided to add it to the trip. We’ve been gradually checking the national parks off our list, and this one was not to be missed. So neat to hear your adventures again this year. I hope you share more of your trip, esp. to the Smokies, as I’m really hoping we can take a trip down there next year. We’re from central IL, so it’s a LOT closer for us! I’d like to hear other’s experiences to the Smokies and their suggestions for places to camp and things to enjoy. We’ve vacationed in the Smokies to stay in cabins, but now that we have a PUP, we’d like to try some camping! Thanks for sharing!